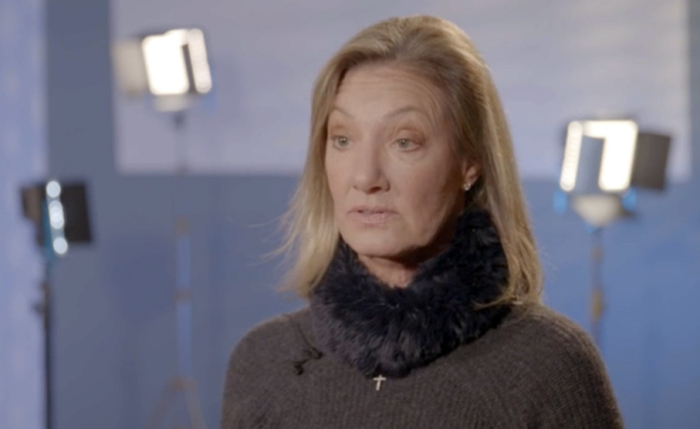 WINNIPEG, Canada — Fox 2000 was a casualty of the Disney-Fox merger last week, but before the production company was shut down, Elizabeth Gabler, its president, explained why she wanted to work on "Breakthrough," her first Christian film project. "This is the first movie directly that had to do with a very strong faith-based premise that we've actually ventured into," Gabler said of Fox 2000's work alongside DeVon Franklin in an interview with The Christian Post on the film's set in December. "I think a lot of the movies that I've worked on have had stories of inspiration but this is really the first movie that we were able to find to do with DeVon that was a story that we all decided we needed to tell together,” she said. "Breakthrough" tells the miraculous real-life account of Joyce and John Smith, a mother and son who rely on the power of prayer and the Holy Spirit following a fatal accident. Chrissy Metz (“This is Us”) plays the role of Joyce Smith and actor Josh Lucas (“Sweet Home Alabama”) plays her husband, Brian Smith. Marcel Ruiz (“One Day at a Time”) portrays their son, John, who is pronounced dead for 45 minutes until God answers the desperate mother’s prayers. Gabler’s role as president of Fox 2000 meant that she could use her platform to help others. As a woman of faith in power, she has used her position to help other women working in the Hollywood film industry. When asked about the challenges youth face today and how it related to the film, she replied: "I think that our kids growing up today are facing incredible challenges. I think that they are facing violence in schools, they are seeing natural disasters around the world. They are dealing with disease in greater amounts of people that they're close to than probably in the past, or at least it's being talked about more. “So I think they're facing a lot of emotional challenges and they're burying them. They're burying them in social media. They're burying them in certain kinds of movies and TV shows that they're watching. Following the closure of Fox 2000, Forbes magazine expects "it’s possible that Gabler ends up elsewhere in Disney/Fox" and it’s most likely because of her work ethic. "Breakthrough" was directed by TV director Roxann Dawson ("House of Cards," "Scandal," "The Americans," and "Agents of S.H.I.E.L.D.”). DeVon Franklin ("Miracles from Heaven") produced the film. The 20th Century Fox movie is based on Joyce Smith's book The Impossible and was adapted for the screen by Grant Nieporte ("Seven Pounds"). Gabler believes it’s a story that needed to be shared during these times. "Breakthrough" will be released April 17.